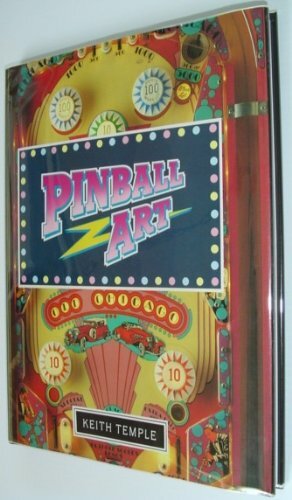 Shop For Pinball Art at ShopWorldlux: check prices, availability, deals & discounts. Get Pinball Art to meet your needs at Shop Worldlux. 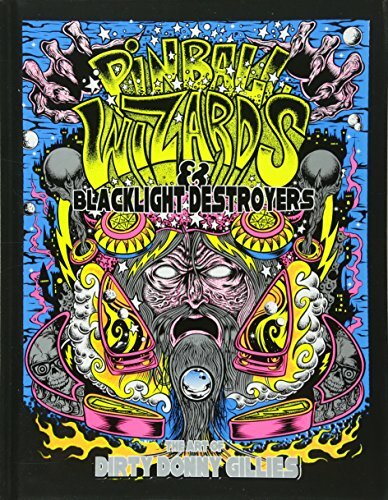 Brand: Brand: Schiffer Publishing, Ltd.
Great book on pinball art! This is a hardcover. Pop-art connoisseurs are treated to a mind-bending journey through the blistering paintings of San Francisco artist Dirty Donny Gillies. Take a visual tour of his vibrant, hand-drawn and screen-printed poster art series "Blacklight Rebellion" and hand-painted solo art show "Fantastic Voyage." This ultimate collection of cool also includes his iconic work for Stern Pinball, metal giant Metallica, Vans Skate, Snap-On tools, and Cruz Pedregon's Top Fuel Funny Car, not to mention work on his own air-brushed 1970s boogie van. The art attack continues with eye-melting imagery from skateboard decks, decal sets, toys, guitars, drums, and his series of model kits for AMT. Pop-art collectors will appreciate full-page photos from the likes of legendary street photographer Ricky Powell, as well as the commentary by Ed Robertson of the Bare Naked Ladies, Mastadon's Brann Dailor, Brendon Small of animated series Metalocalypse, Howie Pyro, (Danzig, D-Generation) and fellow weirdo artist Skinner. 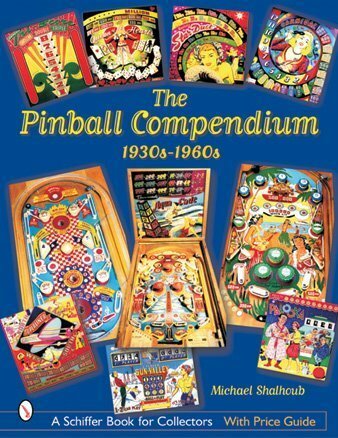 Eagerly anticipated, this update of the highly regarded third book from pinball author Michael Shalhoub includes over 900 color photos and covers the most recent period in pinball history, from 1982 through 2011. Each chapter is devoted to a specific year and features descriptions, release dates, and historical background on the games released that year from manufacturers Gottlieb, Williams, Bally, Data East, Stern, Sega, and others. Current values are listed for each machine shown in the book. Interspersed with the games are stories and interviews with many of the legendary designers and artists who created them. 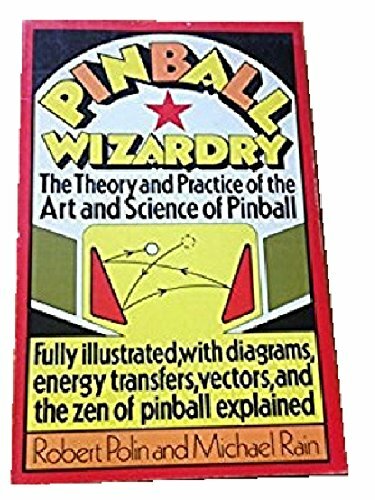 Readers will gain fascinating insight into the planning that went into the games, how the designers and artists got their start in the industry, behind-the-scenes tales of life in the pinball world, and more. 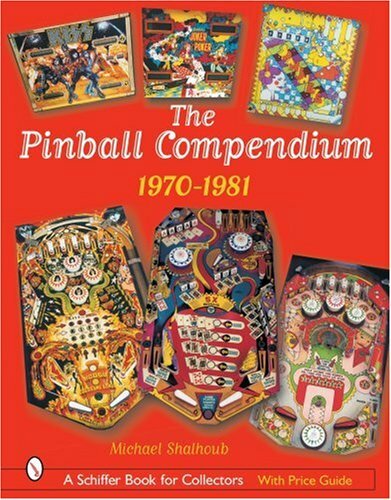 “Michael Shalhoub’s Pinball Compendium is a great documentary of our business,” says designer Steve Ritchie of the second book in the trilogy. 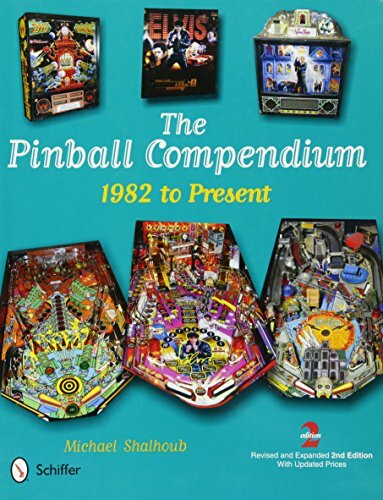 Along with its two companion volumes (the first covering the 1930s-1960s and the second covering 1970-1981), this book is a must-have for all who love the sights and sounds of the world’s great pinball machines. 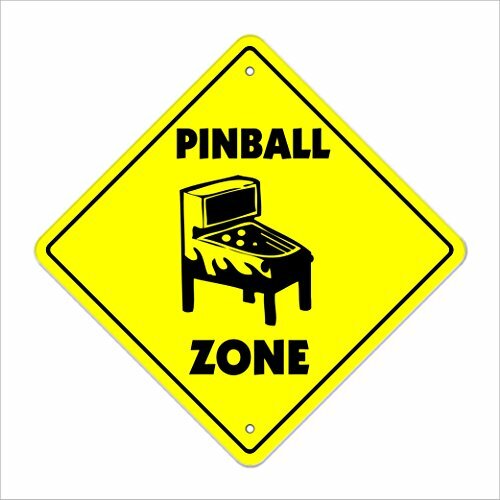 Exciting and challenging, pinball games have been enthusiastically played since their inception in the 1930s and are treasured by countless collectors worldwide. 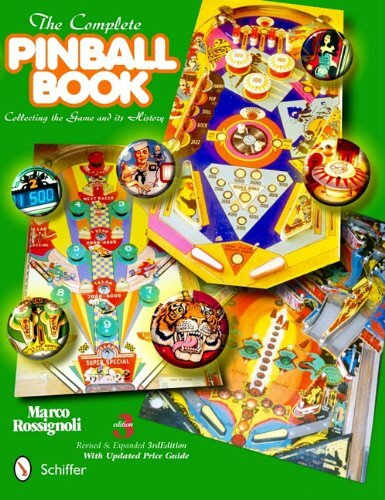 This lavishly illustrated book chronicles pinball games from 1970 through 1981, one of the industry's most prolific eras. Hundreds of machines from Gottlieb, Williams, Bally, Chicago Coin, and other manufacturers are showcased -- including many never before published. The extensive text provides descriptions of the games, their special features, historical significance, release dates, and designers. Collectors will love the exclusive interviews with some of pinball's greatest designers and artists. Current values are listed for each machine shown in the book. 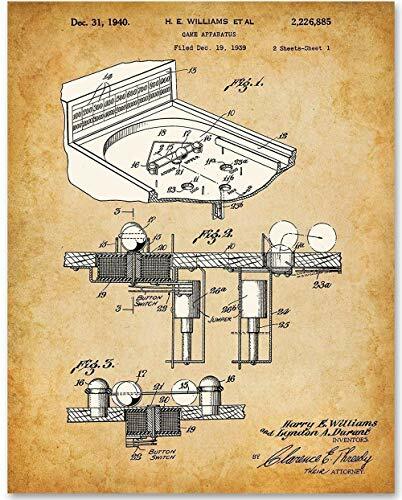 Along with its companion volume (covering the 1930s to the 1960s), this is a wonderful reference and a tribute to all who were part of pinball's fascinating history. Pinball! 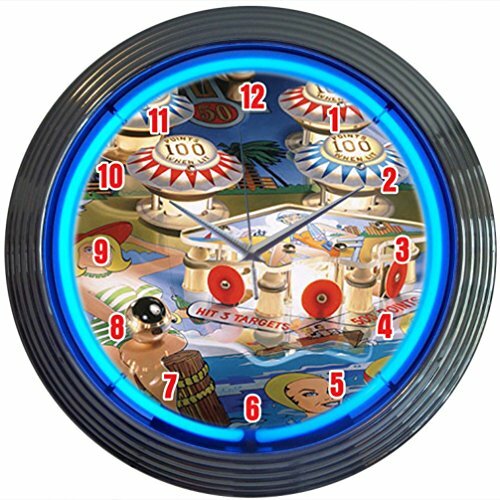 From its inception in the 1930s, this unique form of entertainment has challenged and inspired millions of enthusiastic players and become the passion of countless collectors around the world. 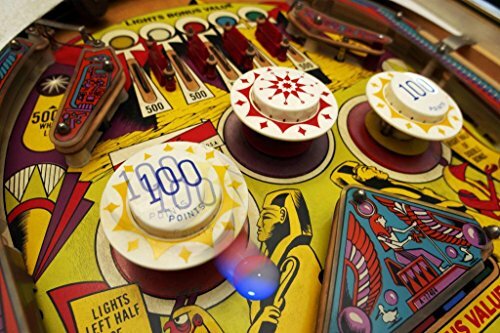 Illustrated with over 600 color photos, this exciting book chronicles the development of pinball machines from the 1930s through the late 1960s, featuring exclusive rare interviews with some of the greatest designers in the industry. Hundreds of pinball machines from Gottlieb, Bally, Genco, Williams, United, and other manufacturers are showcased -- including many never before published. The extensive text provides descriptions of the games, their special features, historical significance, release dates, and names of designers and artists. Current values are listed for each machine shown in the book. Pinball enthusiasts will also love the many stories featuring the thrill of the "Silver Ball." 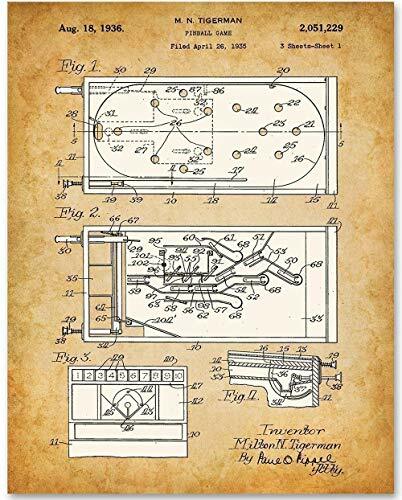 This is a wonderful reference tool and a tribute to all those who were part of the pinball machine's fascinating history. GREAT WALL DECOR IDEA for arcade enthusiasts. 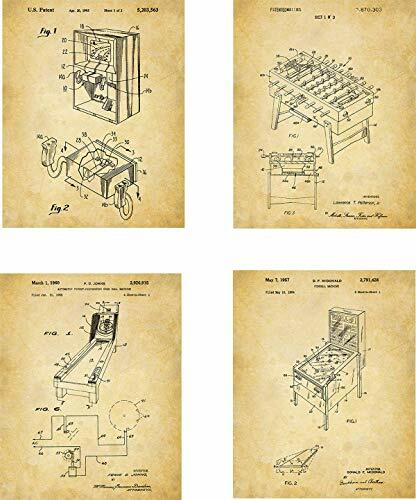 Arcade gaming patent prints always make great decor in any area of the home HIGH QUALITY PRINTS which makes a great addition to your home This set of arcade and gaming wall decor prints will make a unique statement in your recreation room, bar room, or man cave. READY TO BE FRAMED - Four 8 in x 10 in wall art prints arrive flat in a protective envelope, frames not included GREATER LONGEVITY - Those photos are printed on Fuji Crystal Archive paper for a lifetime of enjoyment. Get a fun Crossing sign for your home or office and show off your sense of humor. Looking for a fun, hilarious street sign to hang on your cubicle or in your “man cave”? If so, SignMission has all the cute, funny, hilarious, and even work-related street signs you’re looking for!Something for Everyone We’ve got a wide range of American-made signs just like this sign that will tickle your funny bone, make others smile, or even show off your snarky attitude.Colorful and Durable SignMission crossing signs are crafted with treated inks that highlight its colors and image & are printed directly onto outdoor-durable plastic making this sign very scratch resistant. And because they’re safe for indoor and outdoor use, you can stick one on your patio, in the living room, or anywhere else you want to get people smiling and laughing along.Product Details:Pinball Crossing SignPre-Cut Mounting HolesIndoor and Outdoor UseRust and Fade ResistantOne-SidedScratch Resistant treated InkDimension: 12” Tall x 12” WideMade in the USAOutdoor Durable PlasticClick ‘Add to Cart’ to get your Pinball sign today and enjoy a good laugh each time you pass by! 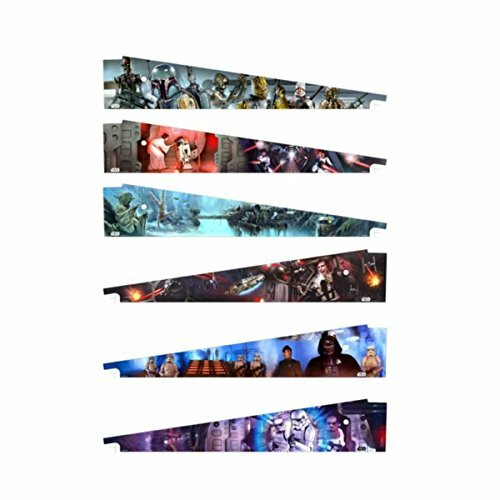 Stern Star Wars Inside Art Blades (set of 6) Set of six Star Wars inside art blades features all of your favorite star Wars characters in classic movie scenes and poses. Featuring Han Solo, Darth Vader, Yoda, R2-D2, Princess Leia and many more in breath-taking quality and detail. Take your pinball to the next level with these great art blades today! 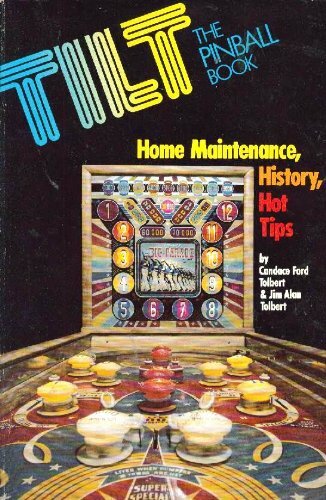 A magnificent coffee-table book about pinball machines, from the classic era through the 1970s. Many large photos include a double-page spread of the classic "Fireball". A history through the origin of the machine, through their legal supression and eventual comeback. Our sign is made of high quality aluminum METAL and NOT cheap plastic.Sturdy Aluminum Construction is strong enough to hold up to .Rustproof, waterproof and weather-resist. Good for indoor and outdoor display.Perfectly smooth with high resolution and quality graphics.Eco-friendly process, Pre-drilled holes for easy mounting. 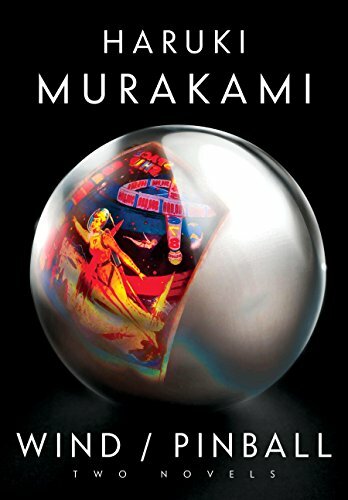 NATIONAL BESTSELLERWind/Pinball, a unique two-in-one volume, includes, on one side, Murakami’s first novel Hear the Wind Sing. 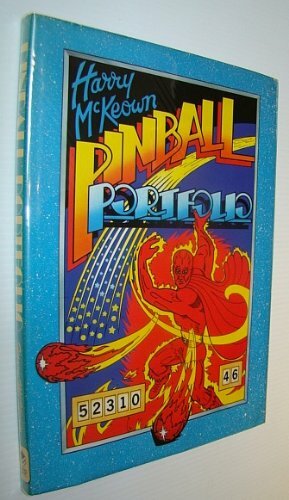 When you flip the book over, you can read his second novel, Pinball, 1973. Each book has its own stunning cover.In the spring of 1978, a young Haruki Murakami sat down at his kitchen table and began to write. The result: two remarkable short novels—Hear the Wind Sing and Pinball, 1973—that launched the career of one of the most acclaimed authors of our time. These powerful, at times surreal, works about two young men coming of age—the unnamed narrator and his friend the Rat—are stories of loneliness, obsession, and eroticism. They bear all the hallmarks of Murakami’s later books, and form the first two-thirds, with A Wild Sheep Chase, of the trilogy of the Rat. Widely available in English for the first time ever, newly translated, and featuring a new introduction by Murakami himself, Wind/Pinball gives us a fascinating insight into a great writer’s beginnings. 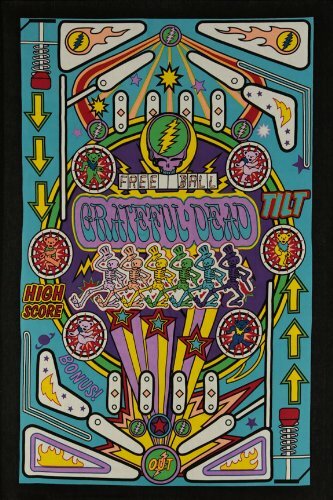 Looking for more Pinball Art similar ideas? Try to explore these searches: Standard 1000 Bags, Gothic Dolly, and Kawasaki Motorcycle Service Manual. 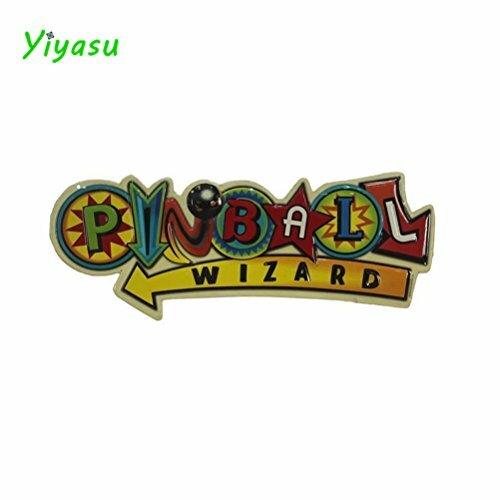 ShopWorldlux.com is the smartest way for save money on Pinball Art: compare prices of leading online stores for best shopping ideas. Don't miss TOP daily updates DEAL.